I write about books that inspire me and places that interest me. Sometimes, there will be a few dull days when my thoughts become stagnant and I don't get any motivation to think differently. A blog is a wonderful platform to express our feelings but we have to write good content and present things in a unique way so that the audience won't get bored. I try to improve my writing skills, read a lot, practice and hone my skills with every new post. 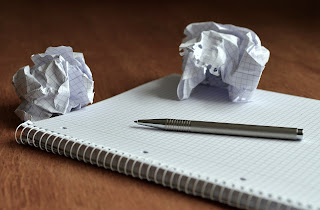 Here are a few ideas which help me to overcome Writer's block. These also help me to avoid publishing the boring routine content in my blog. Since my blog is all about these two, these are my first motivation factors to write. I read 2 to 4 books a month and write reviews for most of them. I love sharing details about the tourist places I visit, though I don't travel very frequently. Sometimes, a day out with children, a walk in the park or any special event that I participate also join my writing list. This is an easy and fun way to write when I am really stuck and doesn't have much time to write a post. I usually list down the books that I read last month with a brief description of each, linking all my reviews. A quick one, right? I love the idea of listing down all good things that made me smile as a gratitude list and I am practicing this every month. I love making lists! Top 5 books that I liked or my top 5 parenting lessons or my top tips to manage a fussy eater. This is another unique way of presenting my content without thinking hard. I know, most of my fellow bloggers follow this as well. We tend to forget a few ideas when we can't write about them immediately. Ideas popup anytime ☺ during a shower or in the middle of night or during a public transit to office. I use Evernote to note them so that I can check these in my laptop and write in detail whenever I get time. This app syncs to both my smart phone and laptop, making it easier. When I am badly stuck and demotivated to write, I take inspiration from other blogs, facebook groups, trending topics in social media, magazine articles etc., Reading generates more ideas. What do you say? So.. that's about my writing ideas. What about you? Writing this for #WritingWednesdays hosted by Corinne at writeTribe. 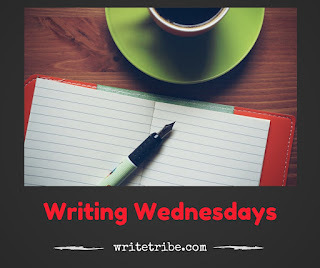 This week's prompt - "Where do you get writing ideas from?" Hey that's a cool way to break the blocj. Do keep a note pad. You know, I even get ideas inside the washroom...hehe and commuting. Keep writing something at random, a free flow kinda thing!! A trick I learned from participating in NaNoWriMo is - just pick up the pen and start writing. Doesn't matter about what. Just freeform and rambling. Even make a grocery list. Eventually, the muse will return. It happens with me too....I simply shut off everything and then there is nothing to do...feel like Beckett's characters from Waiting for Godot....But then somehow, some conversation, some book, some article inspires me and I write again...! Ya. I know Vishal ☺ Started noting in notepad too..